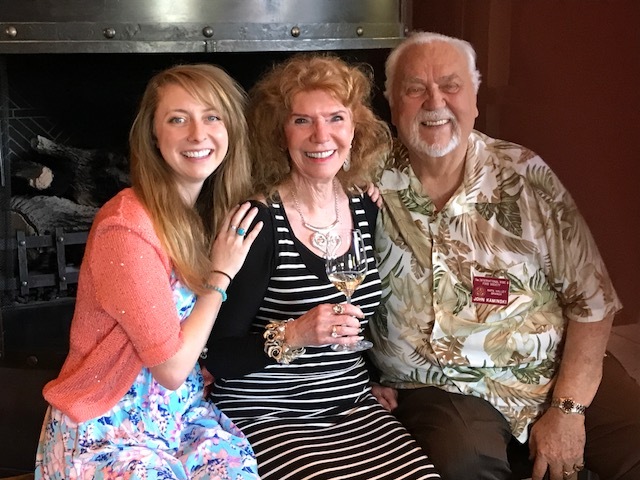 It was a warm Saturday afternoon on May 20, as Napa Branch members made their way to Davis Estates Winery along the Silverado Trail in Calistoga. 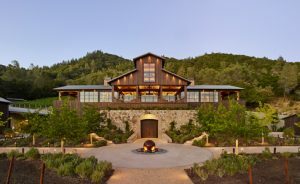 Davis Estates is one of Napa Valley’s newest wineries and founders Mike and Sandy Davis have created an absolutely stunning facility. Mike started Applied Computer Solutions in his garage in 1989. He eventually sold his company, but continues to serve on its board. A historic barn dating back to 1916 was on the property when they began their winery project. Mike hired noted architect Howard Backen and instructed him to mirror the weathered exterior of the old barn in the new buildings. 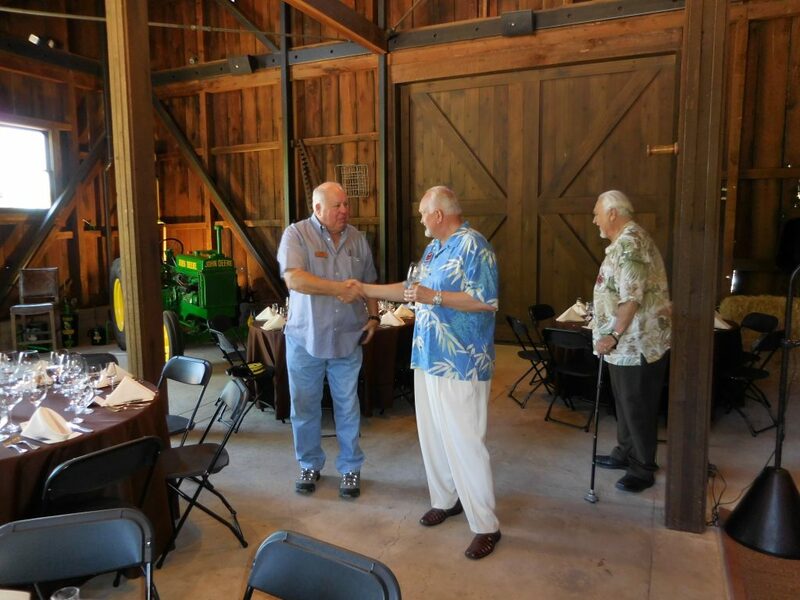 The restored barn is a beautiful setting where our luncheon was held and among many treasures inside are two restored vintage tractors; a 1939 John Deere and 1944 Ford. The hospitality center has a beautiful view of the Valley and in front of the facility is a Kugal (means ball in German), a spherical sculpture that rotates among a thin film of water. It represents a Cabernet Sauvignon grape and sits atop a sculptured Cabernet leaf. There are beautiful art pieces throughout the cellar and cave rooms. We were pleased to have owner Mike Davis host our luncheon. He talked about the development of the winery and his wines that are made by noted winemaker Cary Gott and consultant Philippe Melka. Our reception started with Lobster Roll with Papaya & Basil, Mint Dipping Sauce served with 2014 Davis Estate Viognier. Lunch began with a Roasted Beet Salad paired with 2015 Davis Estate Pinot Noir. Our entree was a choice of Painted Hills Filet Mignon or Wild King Salmon with Garlic Potato Gratin, Haricots Verts, Torpedo Onions, Porcini Butter and Bordelaise, paired with Davis Estate 2012 Zephyr, a Bordeaux Red blend. And finally for dessert, Cognac Espresso Tiramisu. 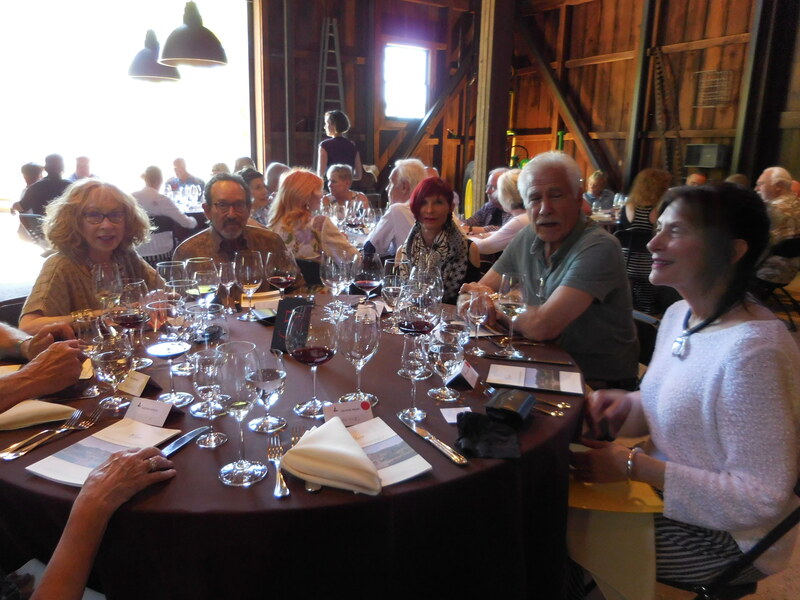 This was a truly great wine and food experience arranged by board member Terry Scott. 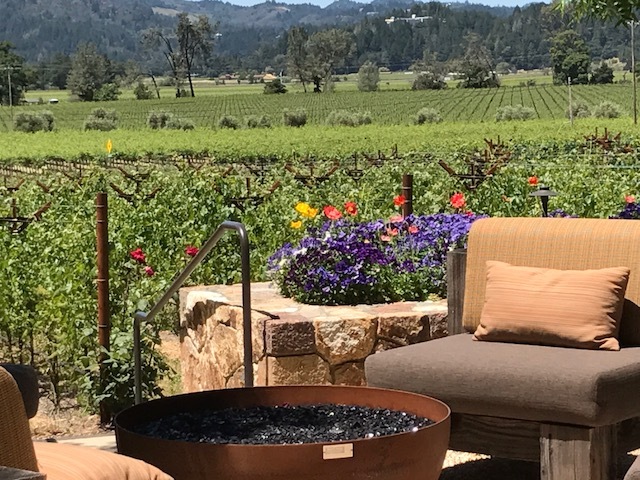 Davis Estates Winery is a stop that is not to be missed for visitors to Napa Valley.